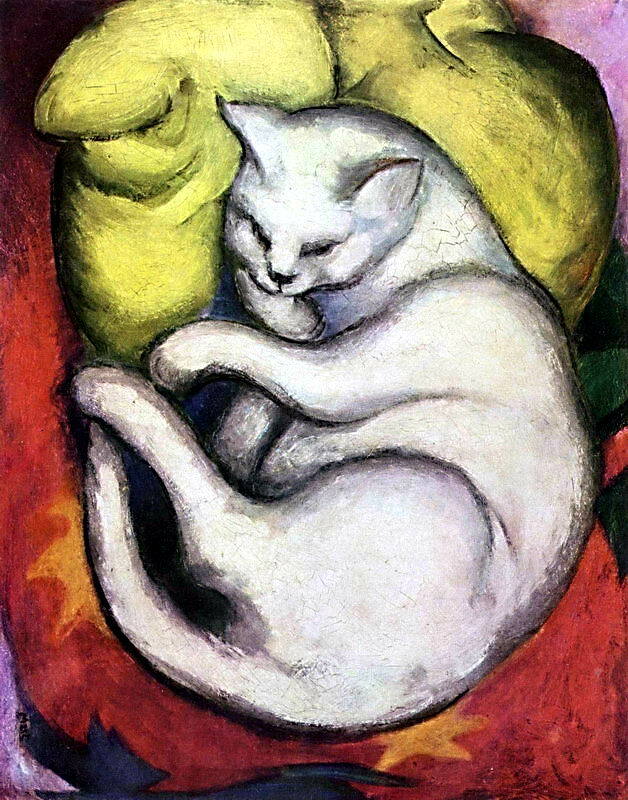 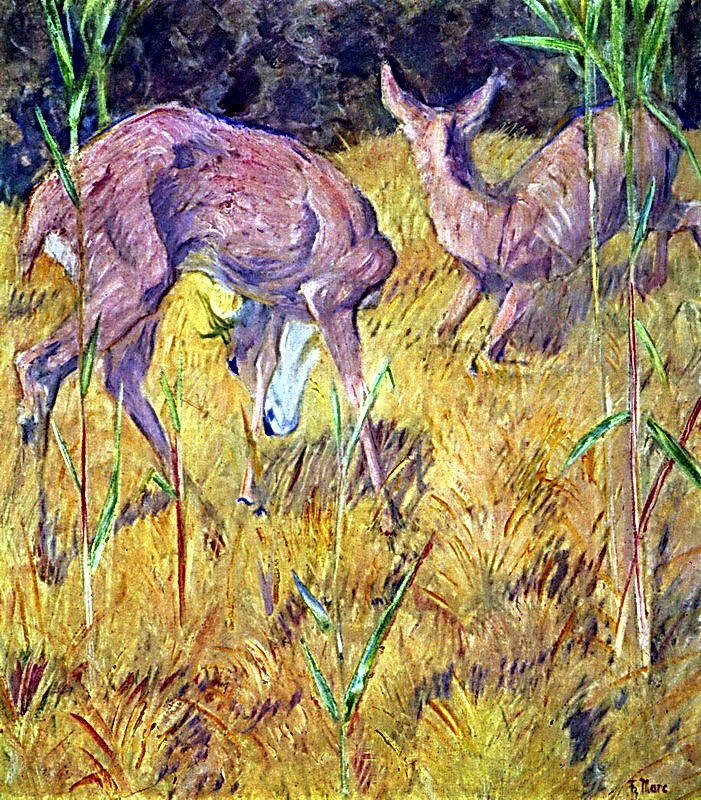 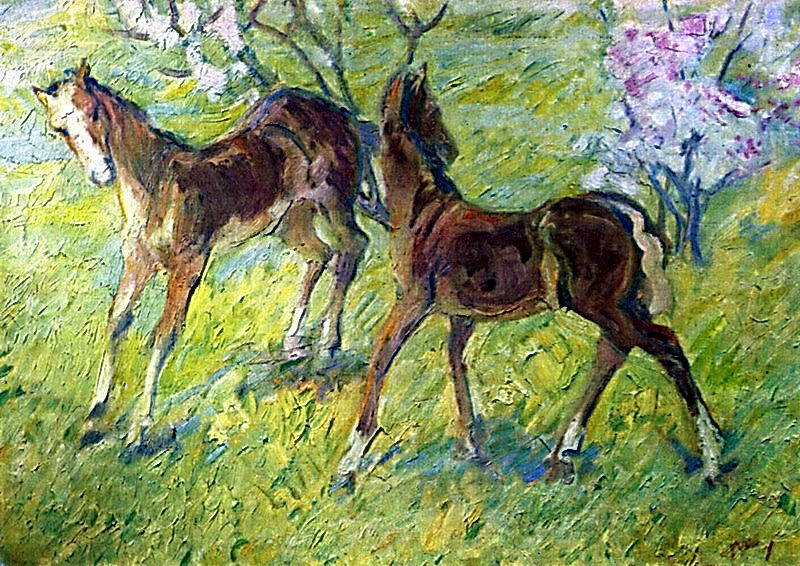 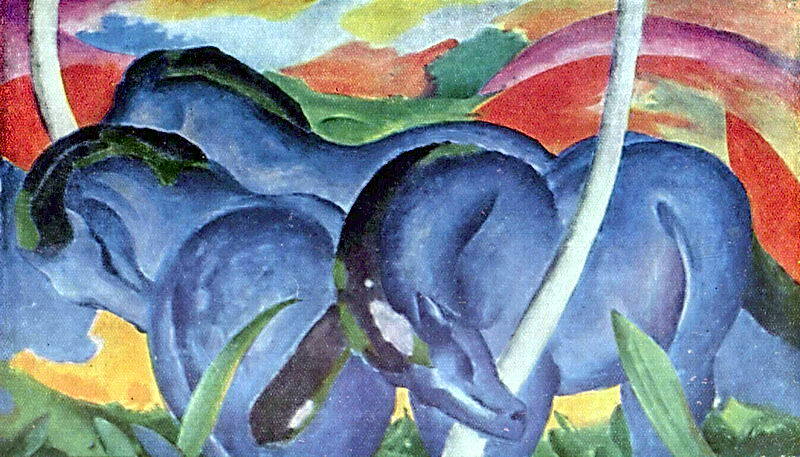 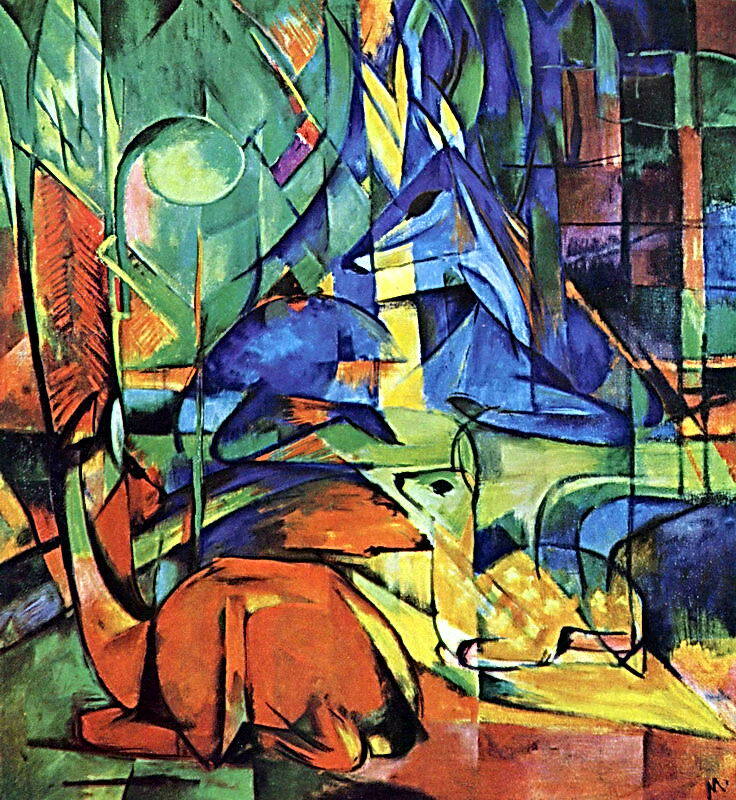 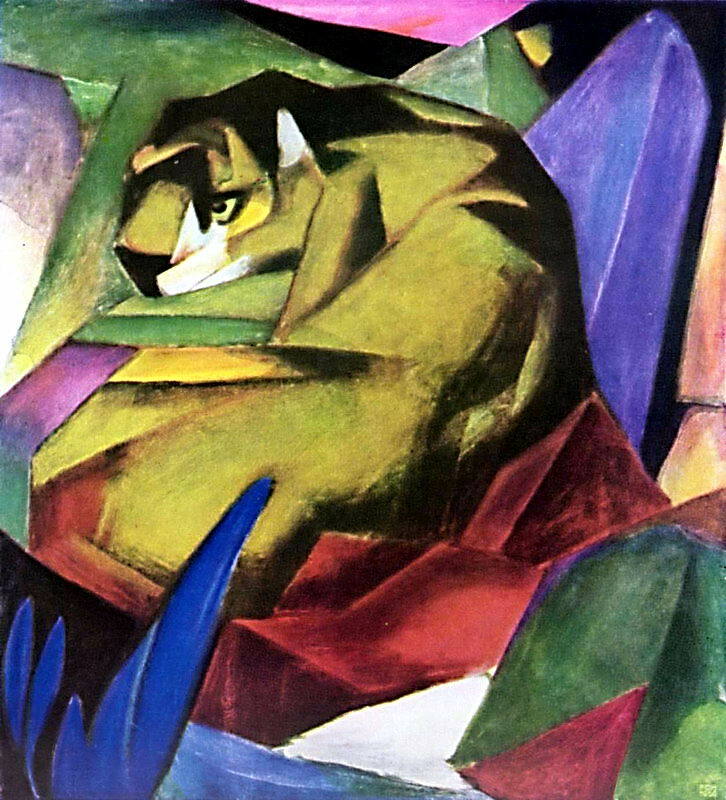 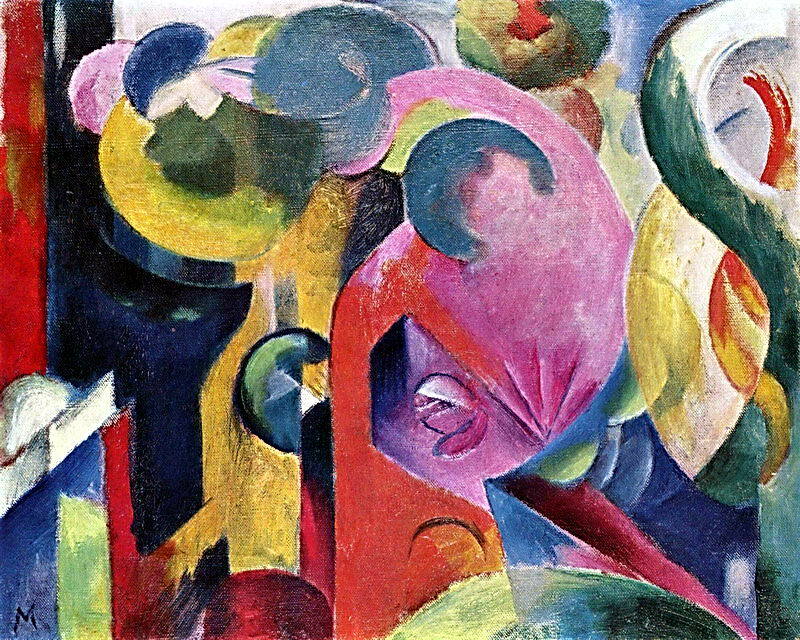 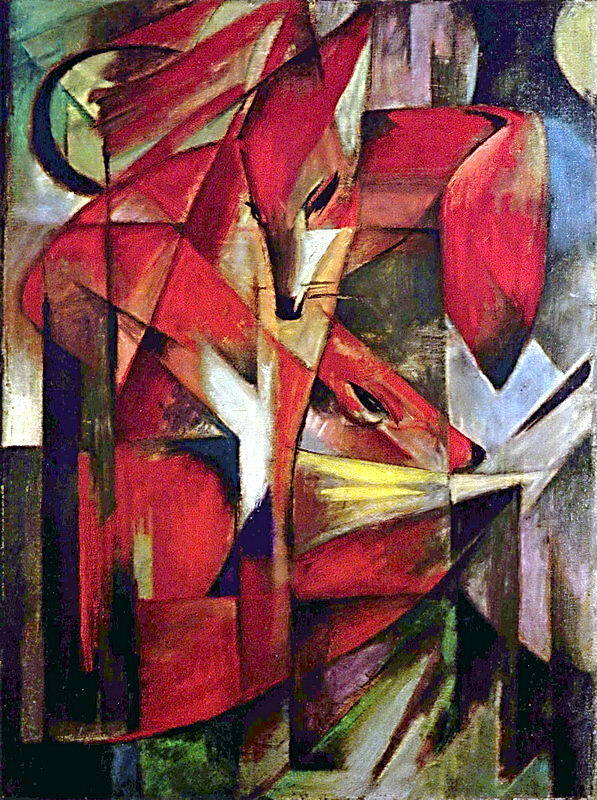 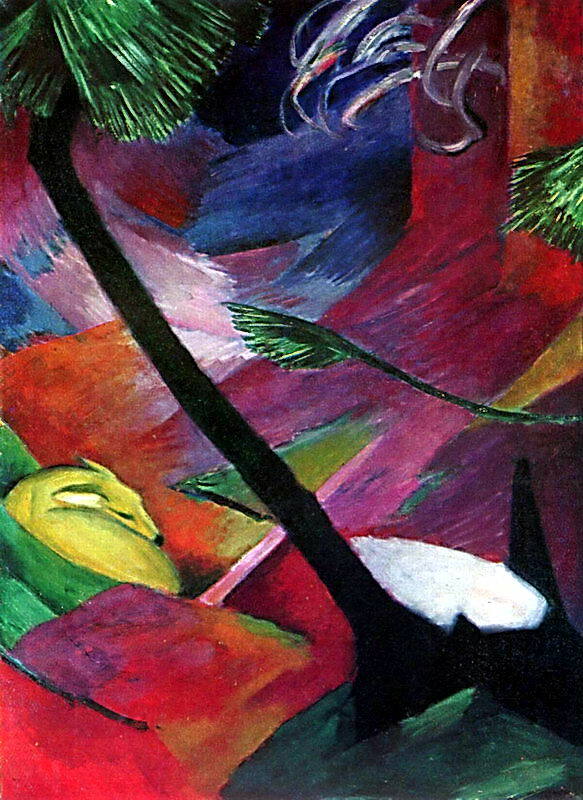 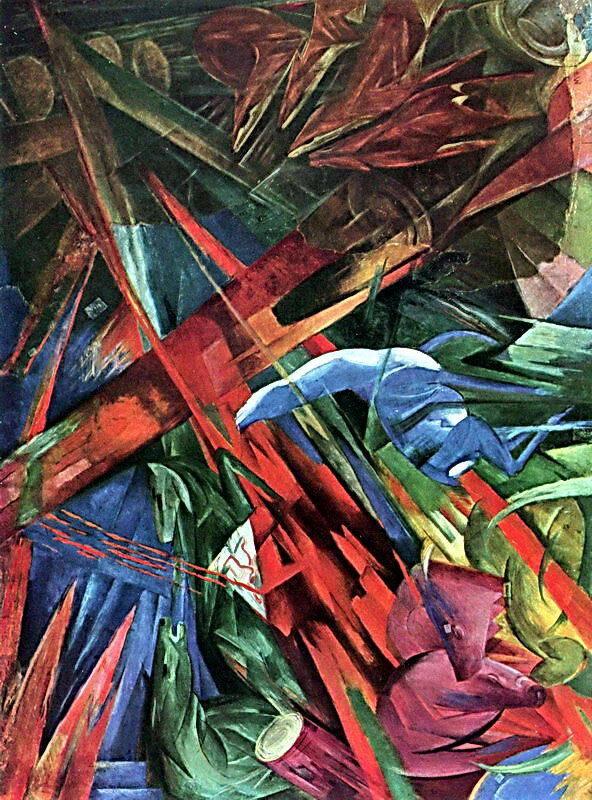 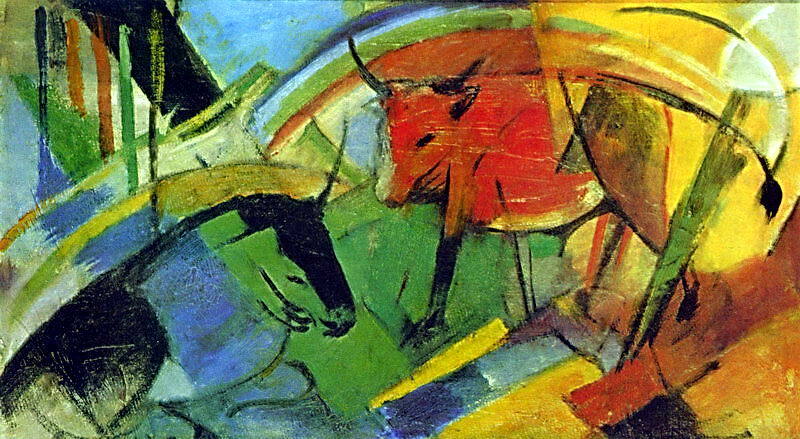 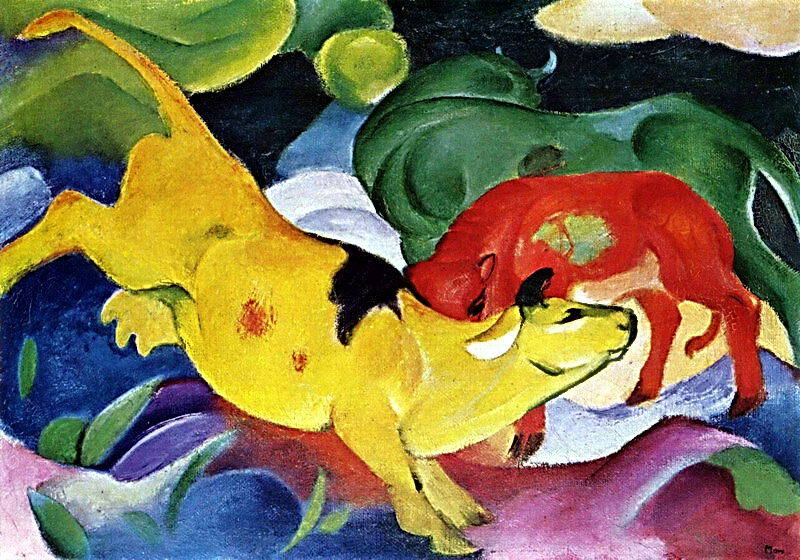 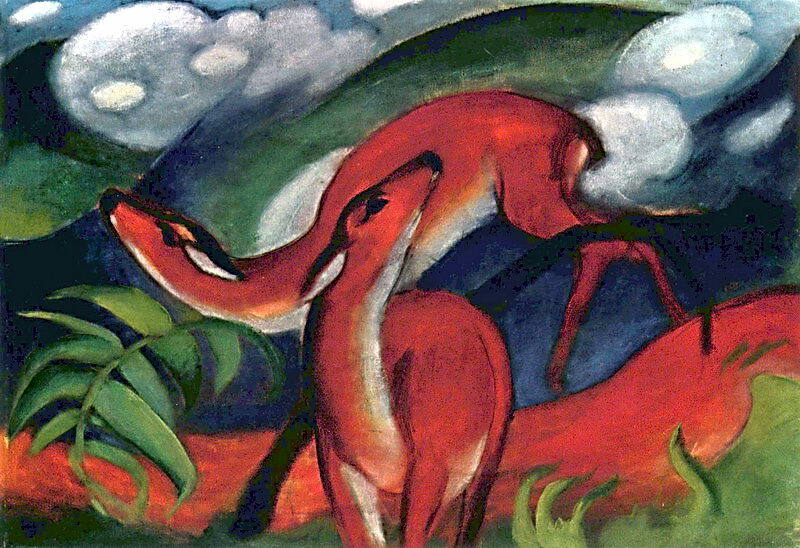 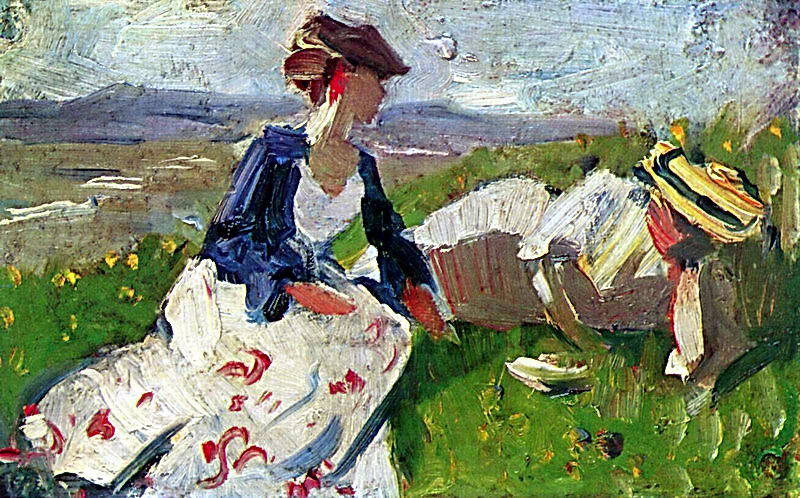 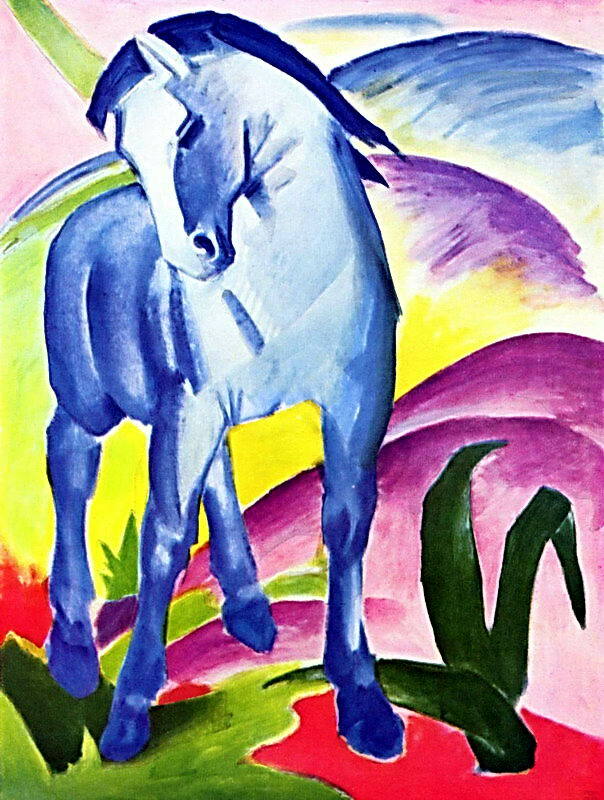 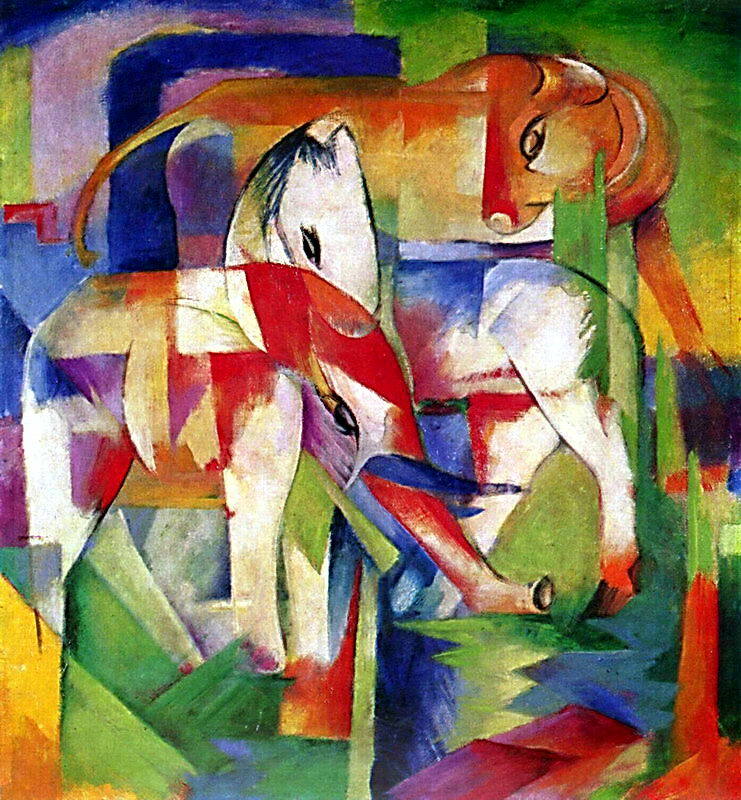 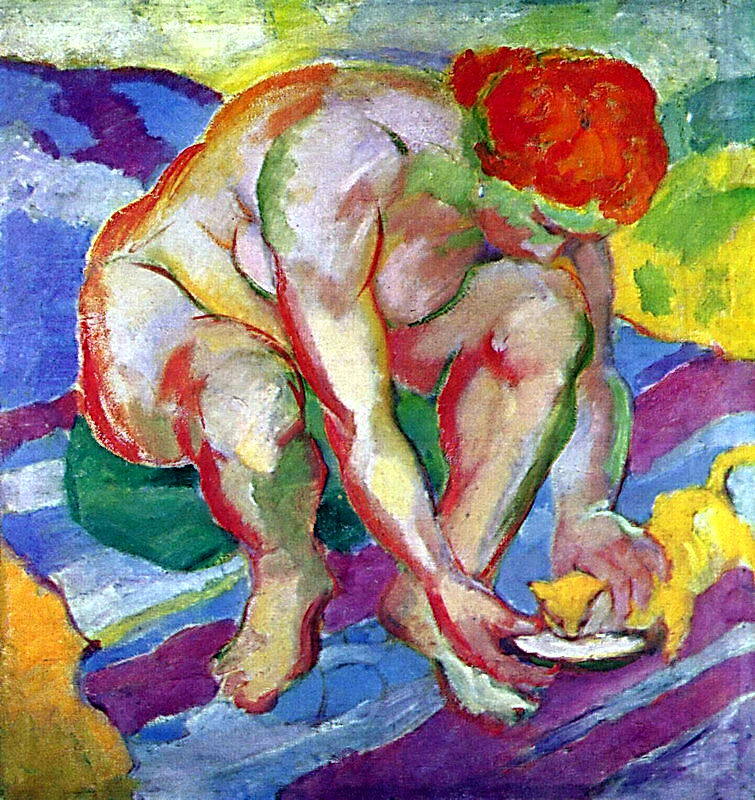 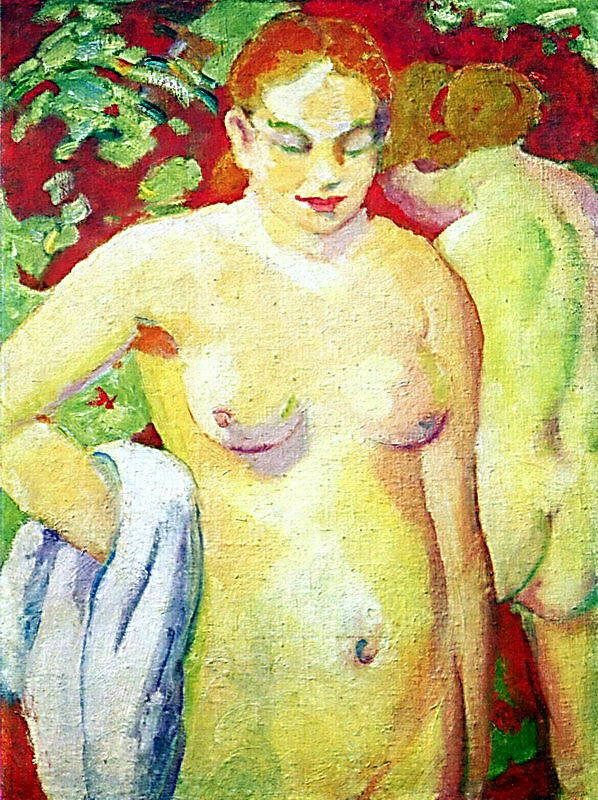 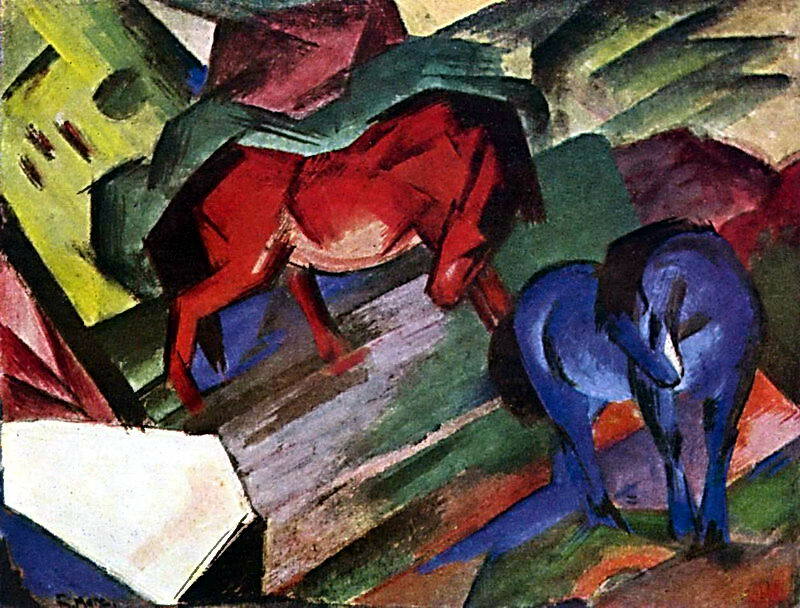 Franz Marc is one of the most famous German Expressionists, whose art was influenced by Post-Impressionism. 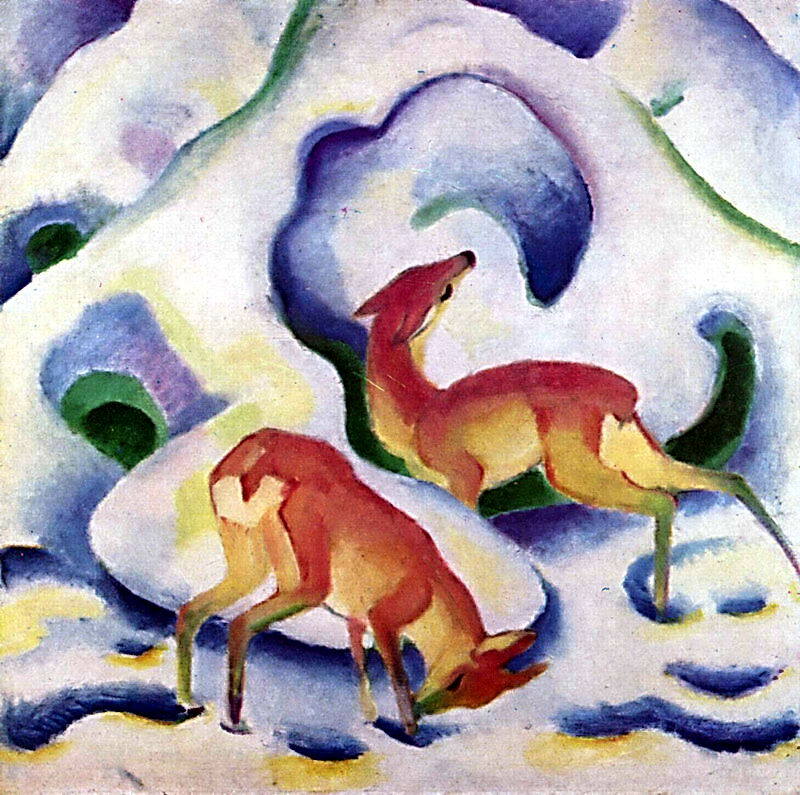 He was studying the anatomy of animals to be able to paint them very authentically. 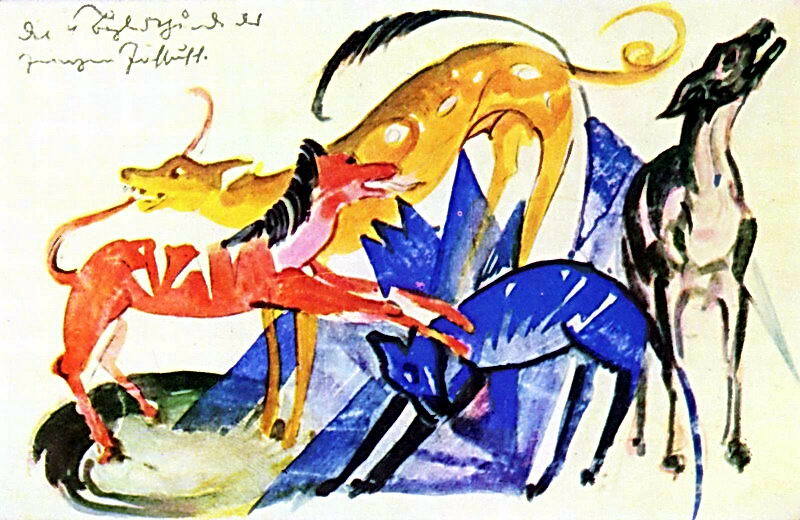 His animals were usually pictured in realistic environment with the usage of very bright palette. 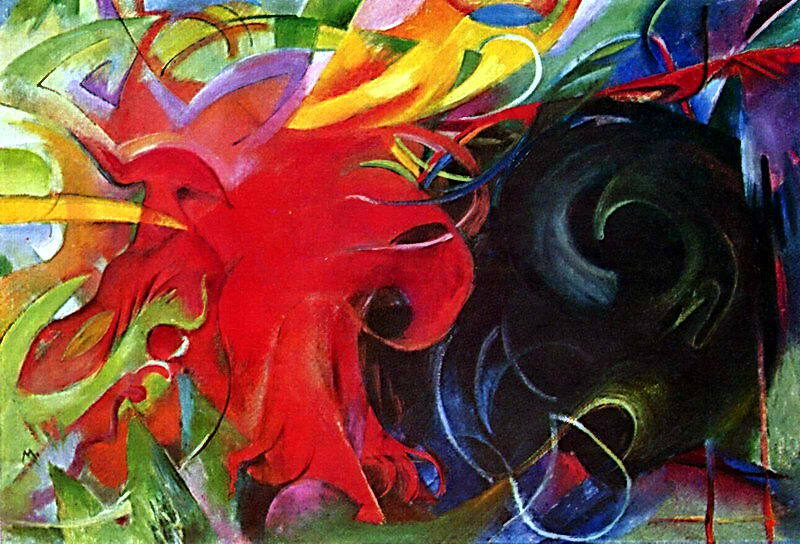 He created his own line of the symbolic meaning of the colors, i.e. 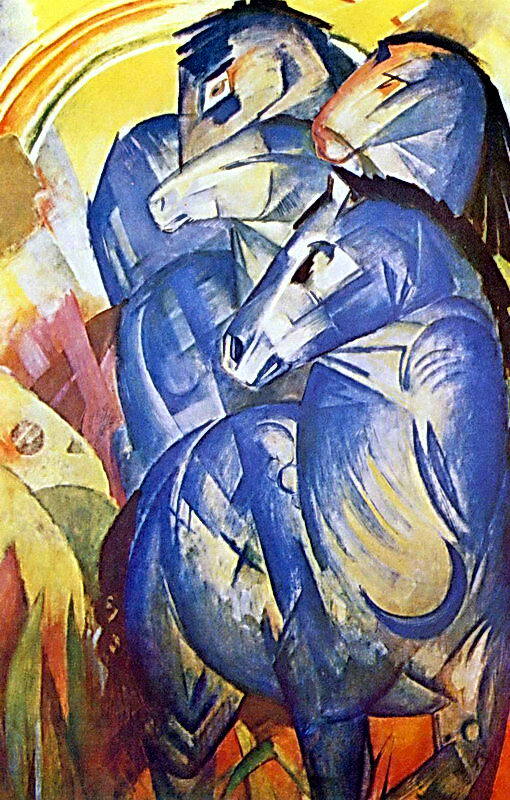 blue was a symbol of masculinity, yellow – femininity, etc. 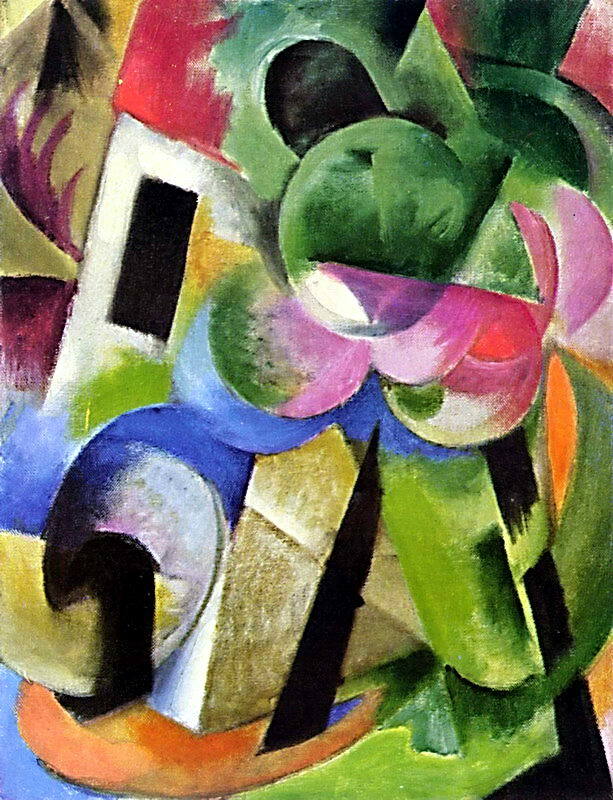 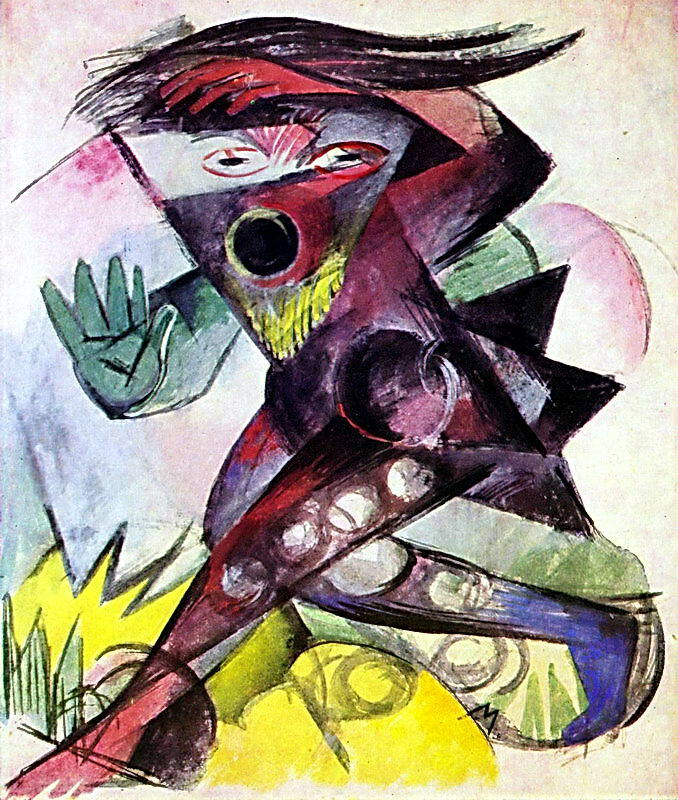 With the time his style became more abstract and cubistic with its very sharp angles and shapes. 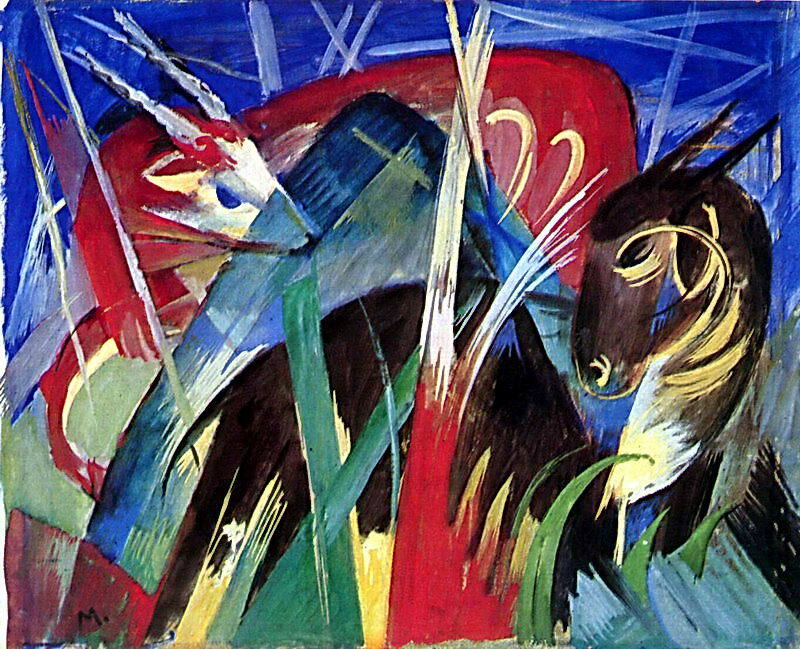 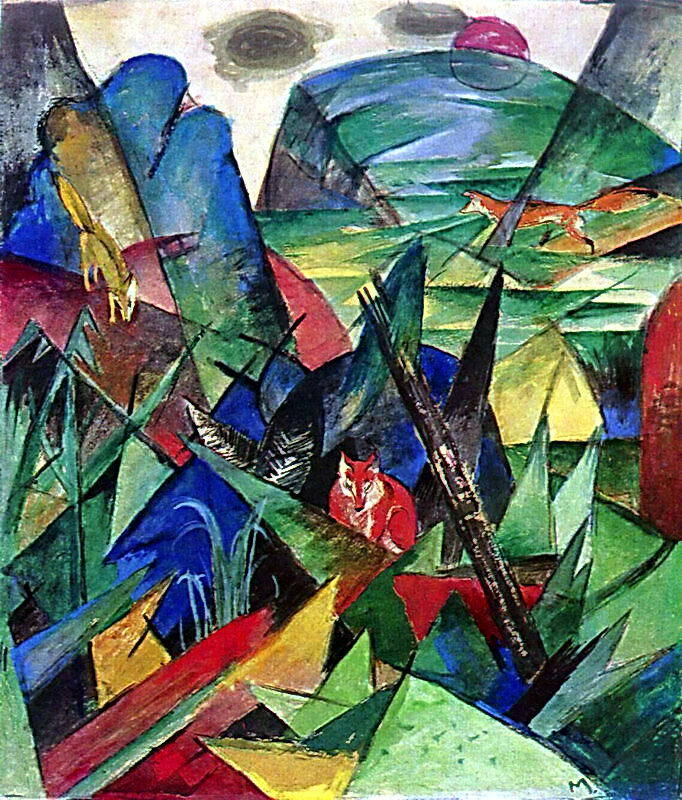 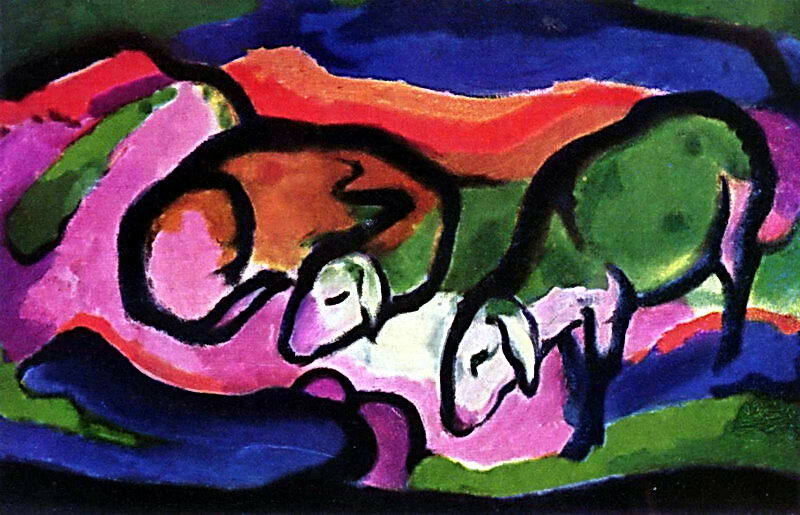 Franz Marc had a quite short life and he was killed at his 36 during the First World War.